Some of you who don't follow some of the Playstation game releases might not have heard of it, but Arrowhead Game Studios, of Magicka fame, recently released a game on the PS4 and Vita called Helldivers. I haven't gotten a chance to play it myself, although I did end up purchasing it earlier today. Instead, the only reason I'm bringing it up is because it apparently has some really nice achievables, according to a Kotaku article earlier today. Against my better judgment, I went through the comment section. As luck would have it, it wasn't that bad. 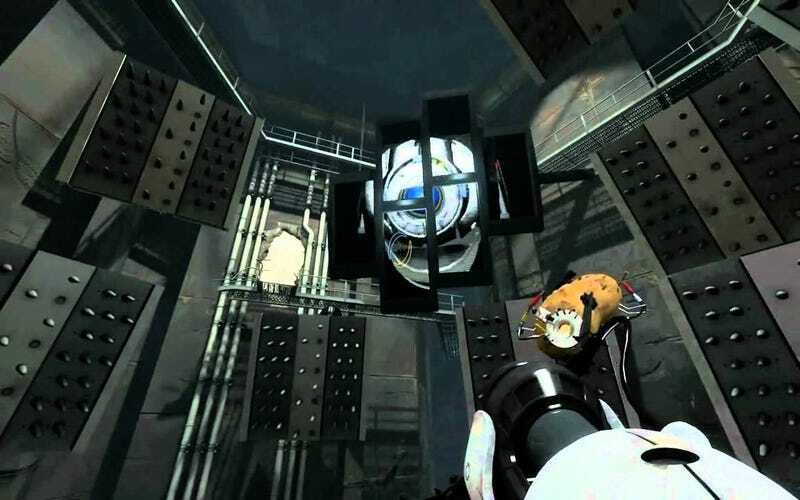 In fact, someone brought up one of my favorite moments in Portal 2 that I had all but forgotten about: "The Part Where He Kills You." Even better, the achievement you get for reaching that chapter is called "The Part Where He Kills You," and when you read the achievement description, it simply states: "This is it." On that note, it's going to be kind of a broad question tonight, TAY. What are some of your favorite achievements/trophies/etc. in a game that weren't necessarily serious? Alternatively, what's a really ridiculous joke from one of your favorite games? The science jokes from the butler robot in Fallout? Maybe it was the talking grunt at the end of Halo? Feel free to talk about either of these down below. Not a fan of achievables or random jokes? Well then, feel free to talk about life, love, gaming, or whatever else you desire. The Wednesday Graveyard Shift is now open!